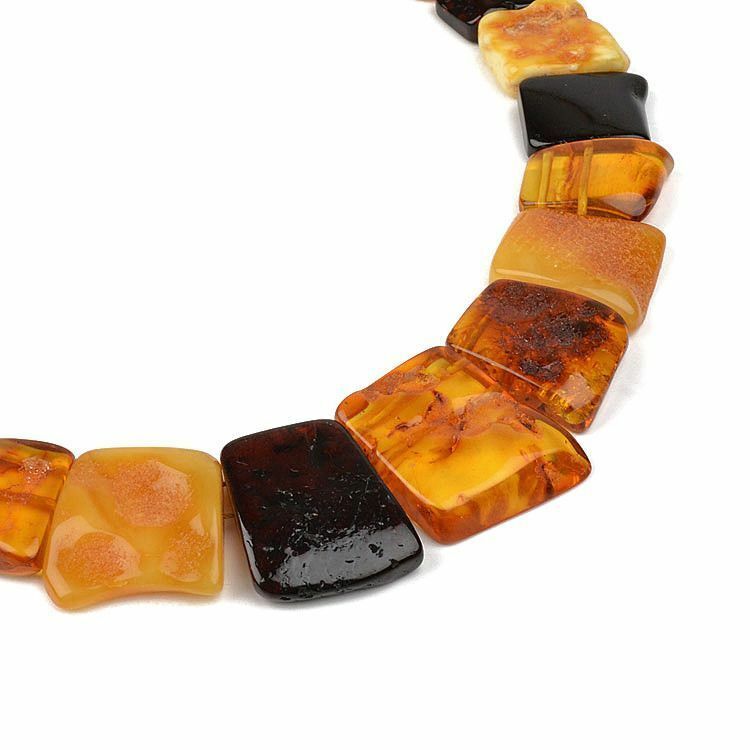 You'll feel and look like a queen in this magnificent amber necklace which you can wear it casually or for your dressiest nights out. 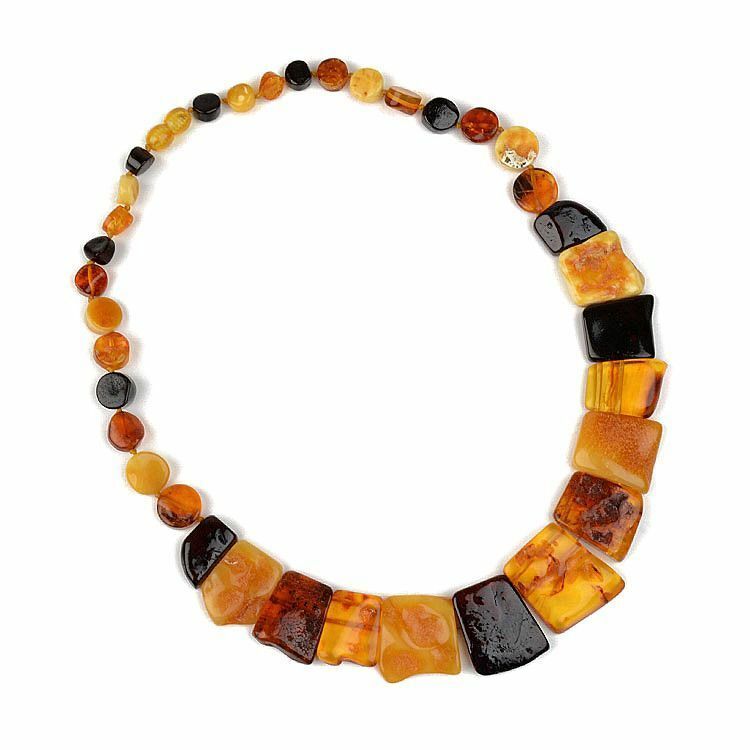 This 100% authentic, top quality Baltic amber necklace consists of polished amber pieces, gradually coming down to the center of the necklace. 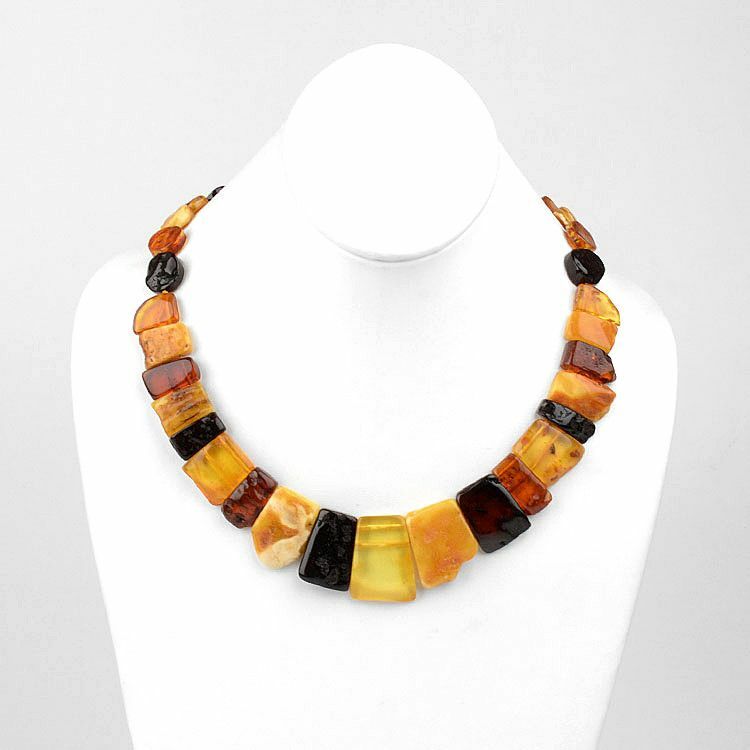 They are irregularly shaped and measure approximately from 1" to 1/4". 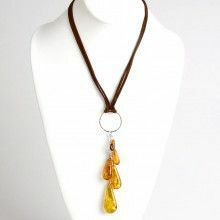 The necklace is double strung for support and fastens by barrel screw twist-in clasp. 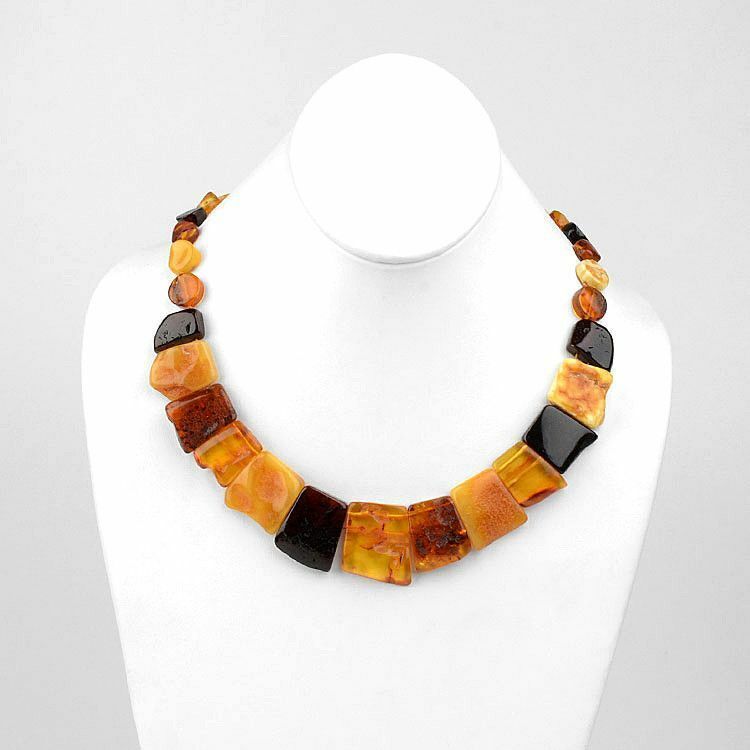 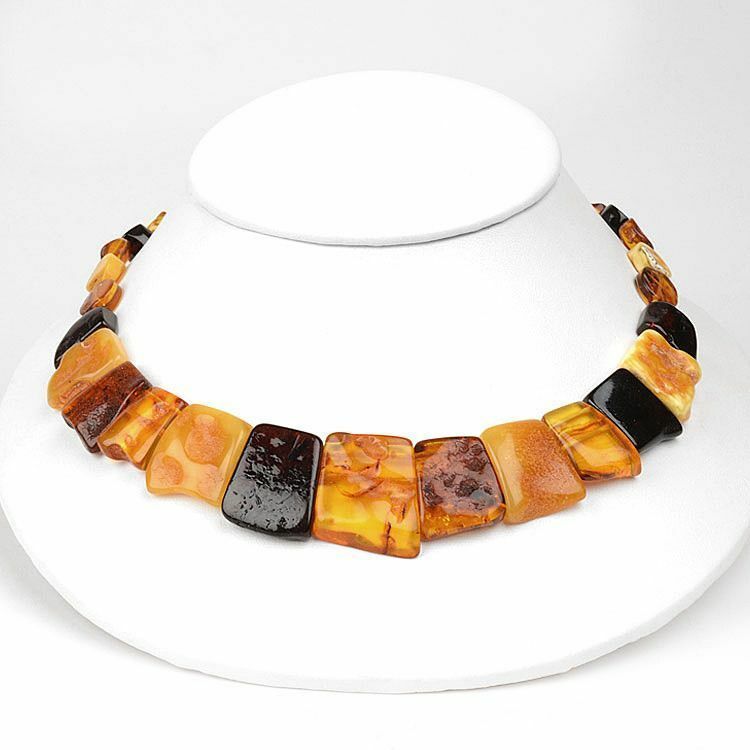 This piece is one-of-kind, so the colors and shapes of amber pieces might differ from the photograph, due to the handmade nature of this product. 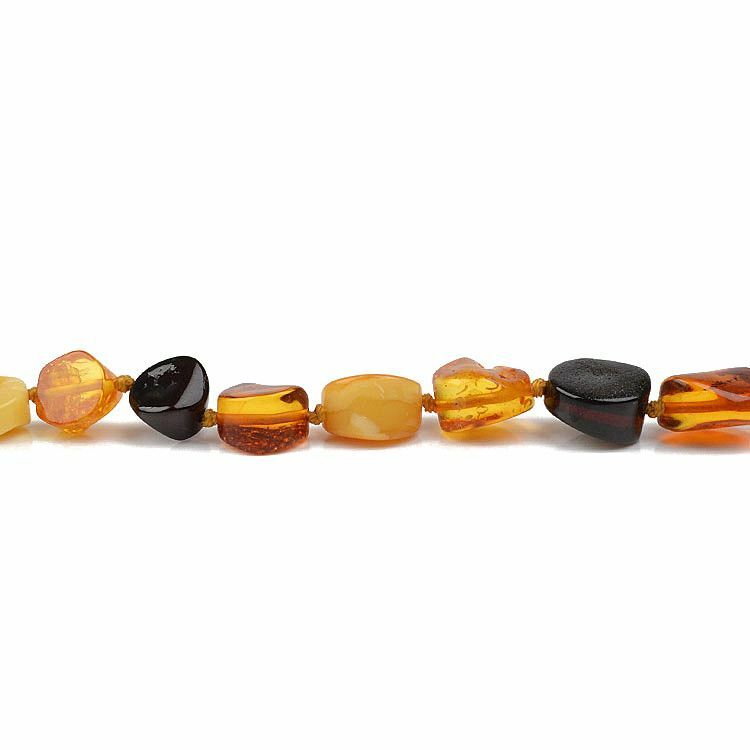 Beads measure appx. 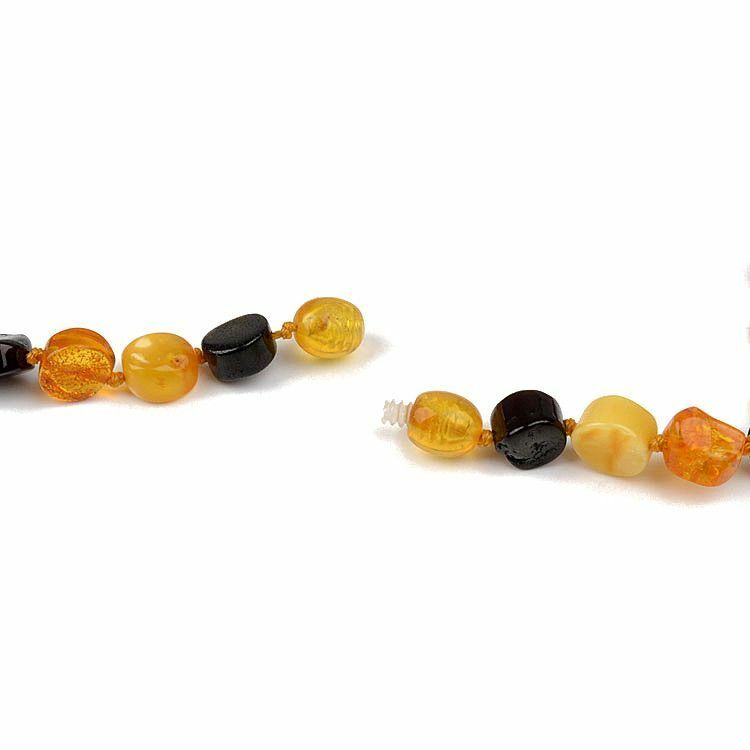 from 1" to 1/4"